In the four years since Hot 91.9fm switched on its microphone and lit up the airwaves, the station has reached many milestones; however, none more so than in 2018. Here, the team at Hot 91.9fm provide their insights. "It was a great year for the station, starting with the win of the prestigious Station of the Year accolade at the annual Liberty Radio Awards for the second consecutive year," says station founder and managing director, Lloyd Madurai. "It didn’t stop there, as Hot 91.9fm scooped the Small Business of the Year and the Small Business Champion awards, which is no small feat considering that there's a large number of small businesses in the country." Madurai additionally underplayed his induction into the Radio Hall of Fame, the youngest recipient ever to receive this accolade. Instead, he cited the support from the station staff and listeners alike that made this recognition possible. With community outreach and involvement at the core of its business philosophy, Hot 91.9fm launched its 'Touching 100 Lives' campaign in July 2018 to celebrate Nelson Mandela`s centenary. "We asked ourselves the following question: 'What would Madiba have done?' We believed he would have wanted to make a tangible difference in people's lives, so we tailored our campaign to echo that sentiment," says Madurai. During that month, Hot 91.9fm fulfilled 100 community wishes ranging from small projects like effecting car repairs and organisations assisting small entrepreneurs to grow their business, including that of a polio survivor who handmakes toys for children. "We feel particularly proud of this initiative, which underscores our commitment to sustainability in everything that we do," adds Madurai. In November 2018, Hot 91.9fm launched its new breakfast show, Mansfield in the Morning, with host Jeremy Mansfield. A long-time industry veteran, Mansfield had been off radio for nine years, but joined the station as he shares Hot 91.9FM's core belief to make a difference in the community. Popular and colourful, his no-holds-barred approach to Joburg's Hottest Breakfast Show is sheer entertainment. The station’s annual 'Teddy-thon' at Sandton City was successful. In 2017, the amount raised was just over a million Rand for community and poverty relief programmes. In 2018, the station raised the bar to R1.5-million but instead raised R2.1-million, illustrating not only its commitment to community upliftment but also the tremendous support of listeners who flocked to the venue and flooded the phone lines with monetary pledges. Madurai says that the listeners believe in the Hot 91.9fm brand and wholly support where they are going with their community campaigns. The money raised also enables ongoing funding for 'Hot Cares' for the next two years. 'Hot Cares' is the station's sustainable campaign that, among other projects, funds a creche in the Kya Sands informal settlement and supplies soup kitchen meals to hundreds of needy people in Randburg on a weekly basis. The Mansfield in the Morning team wrapped up 2018 with the 'Christmas Wish', a project close to Mansfield. With Hot 91.9fm providing a solid, sustainable platform with a track record of community involvement, the Hot 91.9fm 'Christmas Wish' is a perfect fit for the station. Like everything the station undertakes, the Hot 91.9fm 'Christmas Wish' is a reminder to listeners and all South Africans that, in the words of Nelson Mandela: "What counts in life is not the mere fact that we have lived. It is what difference we have made to the lives of others that will determine the significance of the life we lead.". The Hot 91.9fm brand is set to expand in 2019, targeting both range and frequency terrestrially; however, its growth online has been nothing short of phenomenal. 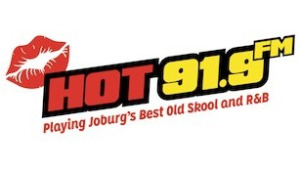 For more information, visit www.hot919.co.za. You can also follow Hot 91.9FM on Facebook, Twitter or on Instagram.